Hey everyone gotta write this first one quick. So I bought my first bike a lil while ago a 1976 cb400f.Awesome bike but someone started the cafe build on it and now I gotta finish it. So my biggest problem so far is my wiring..its all messed up. 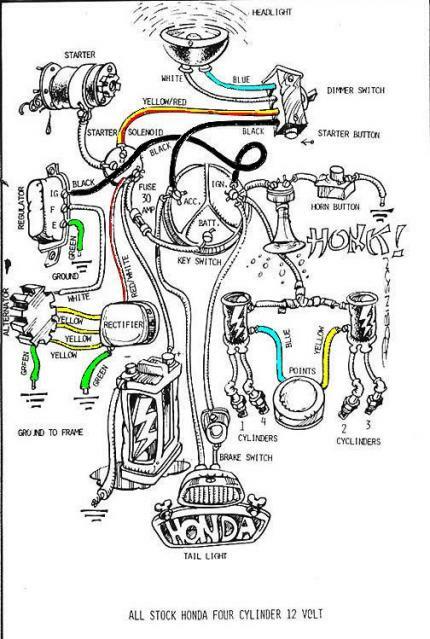 I ordered new hand controls from dime city, they should be here this week. I just want some advice on replacing and rewiring this bike. As of now when I apply battery power the stater starts trying to crank the engine. Is that normal? First off welcome aboard and good luck with your project, look forward to seeing some pictures as the build progresses. As for your wiring issue, no, you shouldn't get anything happen when you apply the power, nothing should switch on or start until you turn on the ignition switch and activate the appropriate control i.e. light switch, horn, indicator or starter button. If it's trying to crank from the go-get you have an open or short circuit. There is obviously a live feed directly to the starter solonoid that is by-passing the ignition switch and starter button. 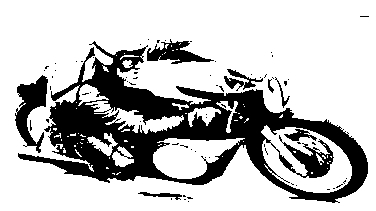 Try hooking up with these guys http://www.sohc.co.uk they are very helpful, knowledgable people, they have a forum specifically for the CB350/400 and somrone may be able to throw some light on your problem or even send you a copy of the wiring diagram.